Meet Hairy Maclary from Donaldson's Donaldson's Dairy, always ready for mischief. In this fabulous set of audio rhyming tales, Hairy Maclary and his friends just want to have fun, but trouble is never far away! The eight stories on this bumper CD collection are all set to music and read fabulously by Dr Who star David Tennant. 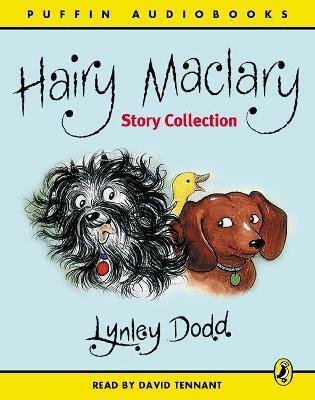 memorable Hairy Maclary, Slinky Malinki, Schnitzel Von Krumm - and many others! She worked as a teacher before beginning to write her own books in 1974. Lynley lives in New Zealand.